I have been a bit of a fan of Learning Maps ever since I was first introduced to the concept 4 or 5 years ago. They were introduced alongside the concept of student agency and putting the students in the driver’s seat of learning. I reflected on the use of the maps then and after recently attending a workshop with Infinity Learning, have appreciated how the concept has grown and developed over the years as teachers and Infinity have fine tuned the approach and worked on how to make them as effective as possible in contributing to the agentic learning we all strive for. Attending the workshop also made me ponder how this could also be used with teachers and support their developing agency, as well support them to identify an area to work on in terms of an appraisal/professional inquiry goal. When using learning maps with the students we ask them to identify an area for change, what they will do to make these changes, and who will support them in this change. This is the very same process that teachers to go through as the initial part of their inquiry, after they have identified their target students. So a plan was hatched and I asked teachers to create a learning map that was focused on how they meets the needs of their priority learners to help them identify what they do, what resources and tools they use, and who they seek out support from. Prior to them drawing the maps, teachers had already collected a range of assessment data to identify a group of target /priority learners. The process I used with teachers was the same as what we would use with students which is outlined via a link at the bottom of the post. Here are some examples from teachers, complete with a few blurred out bits to make them as anonymous as possible. We used a template from Infinity which provides the prompts and scaffolds to support creating the maps and the conversation that need to be had. The arrows are important to show the interactions between people, tools and places. After attending the workshop earlier in the year we starting using a new arrow, the zig zagging challenge arrow, which we also used when working with students. The challenge areas lead the way to identifying next steps and areas to work on. This is how we have encouraged the use of arrows to add more meaning to the maps. Once the maps were created, they were shared with a colleague prompted by; What is the same? What is different? What are their challenges? before identifying an area for change. What would you like to change to help you in your learning? What would you want to do differently? This is followed up by a conversations with me to clarify the area for change (not to change it as this takes away from the teacher owning the goal and the process). This in turn helps to identify the expected outcomes/indicators for their professional inquiry goal included in their appraisal. I guess you could argue that it is quicker just to skip the map and go straight to the conversation to identify the goals and expected outcomes. However I think there is huge value in creating the maps; it puts the teacher in the driving seat, recording how they see their learning and the interactions, or lack of between all the different areas, and from that identifying areas for change. The visual nature of the process and outcome makes seeing gaps and successes straightforward. When two teachers/learners share their map and discuss the similarities and differences, and expand on their challenges together, the collaborative nature of inquiry is highlighted and utilised. The conversation with me just formalises the decisions that have already been made. We have also used this process with the leadership team in terms of helping to clarify their leadership inquiry goal, although in our case, these had already been set with our external facilitator. The process for me was still worthwhile, it helped to clarify the people, networks and tools that currently supporting my learning in this area and most importantly reinforce what I new are the challenges – an ever growing list. I find the process of drawing very reflective in itself and once completed provides a great source for reflection and conversations. Here is my map, related to my goal of getting to know my learners. So what next? Like with our students, we will revisit our maps and add to them throughout the year so they are a living record of how we progress and adapt to catering for our priority learners. These updates will again be shared and discussed with colleagues, referenced in our PLGs, and used as a resource for appraisal purposes. For those who may be interested, here is the guide we developed when creating maps with our students, feel free to use as required, however I really do encourage you to go to a workshop or have one completed in your school by the gurus at Infinity Learning. It will provide you with all the missing theory and pedagogy behind the maps which has only been skimmed over here. For a couple of years now I have been asking teachers to review their practice against the Practicing Teacher Criteria. This is an ongoing iterative process that I believe teachers should be performing all the time however in this instance the process is formalised as part of their appraisal and discussion and goal setting for the following year. I think this is a worthwhile process, especially know in my current school where I have 2 years of data to look and and help support strengths and weaknesses in myself and the teaching staff. This in turn will contribute to the PLD plan as well. So how does it work? Firstly I set up a google form that includes a simple 5 point scale from Sometimes to Consistently for each of the 12 criteria. A definition of each criteria is also included. 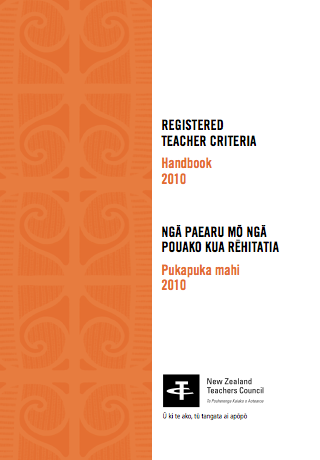 Also, after ERO visited last year, where they had a national focus review topic related to the attestation for fully registering teachers, they recommended that I include in this process a place for teachers to show evidence to support their ratings on the 5 point scale. This has been included and is a really positive development from previous versions. Here is the full form for you to have a look at. The purpose is to capture where teachers are at and whether they are a 2 or a 5 is not important. What matters (on an individual level) is that teachers see where they need to be more effective and over time see progress across the different criteria. It is this growth that is especially important for me. Going backwards in your self-assessment rating is also OK and is often a sign that your knowledge of that criteria and all the implications that it entails has grown thus the scope of your reflection is broader and perhaps more critical. So what happens to the data? I pull the data out and create both individual and group spider diagrams (I think sometimes people also refer to these as radar charts). Group spider diagrams can be made for teams of teachers, management, whole school, PRTs etc what ever subgroups you have in your school you can look at the info related to them. These are shared within the leadership team at school, and with individually, along with their collated response to qualify and provide evidence of their rating, with teachers. Individual teacher spider showing 2015 and 2016 self-assessments. Team of 4 teachers 2016 spider. Doc shared with individual teacher with a record of the evidence. What happens next? I encourage teachers to upload these to their professional blogs in order for them to become an artefact in their ongoing collection of evidence to support their next practicing certificate renewal. 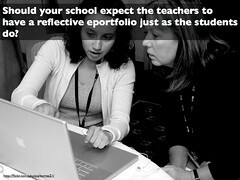 The outcomes of the self-assessment are also discussed as part of a teacher’s end of year appraisal checkpoint meeting. As a leadership team we discuss the outcomes and what this looks like across the whole staff and in the teams of teachers. 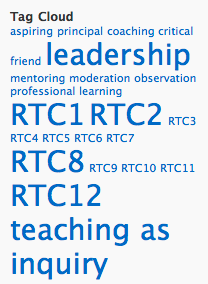 Any trends are identified and we look at how we can support teachers to develop further in the identified areas. Next steps in the approach? This is yet to be fully completed for this year and as such the review is ongoing. I had planned for teachers to do this twice a year, mid and end, however due to a number of factors I cancelled the mid point review. I question if once a year is enough and I think it is… but only if teachers have an inquiring mindset and are reflective. Also, if there are other ways that teachers are acknowledging their growth against the PTCs as we do via any evidence uploaded to a teacher’s professional blogs, then doing it once a year is a formal acknowledgement of an ongoing process and enough. I have also thought that including the cultural competencies from Tātaiako would be a very useful extension to the process. The minor tweak made after ERO’s suggestion was a useful and easy addition to make to the process. I am sure that these minor tweaks will continue to add to the value of this process. I’ve been teaching a while now and I have never found the perfect way to plan and organise the learning that I am intending to get through in a term. I have always found it really hard to show the links between learning areas and contexts which mirrors they way that they are actually taught and facilitated in the classroom. The degree of integration and intertwining of ideas and concepts is really hard to get across in your traditional table form. That lineal approach doesn’t really suit me nor does it represent what actually happens. So this term I decided to try a different approach to my planning and unit overviews which was more suited to the way I think and approach planning learning over a term. Most importantly it needed to show the links between different projects with much more clarity than a Word or Pages document. 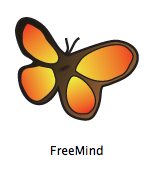 The exploration started with using FreeMind, an fantastic mind mapping program, free, and available for Mac, Windows or Linux. I have been a long time user and supporter of Inspiration in the past but I am just loving FreeMind and what I can do with it. Even better is that FreeMind files are a supported format for uploading, editing and sharing online on such sites as MindMeister. Here is an example of what my planning overview for the term is looking like. It is a work in progress, as any of my planning is, taking direction from the students as and when required. It gets squashed up a bit when it is embedded but you’ll get the general idea. Just in case my appraiser is reading this… this isn’t the only planing I do! Comments appreciated! Today I had a really good discussion with some other staff from school. We were discussing the best solution for pooling together the wealth of information teachers often collect individually to help facilitate a new learning context, especially web links and tools. The discussion came about from the teachers’ use of forums, used to generate discussion around their personal goals, progress and feedback from mentors, of school and EHSAS cluster goals. The forums are starting to be used for more than just of goals, and teachers are throwing in web links and ideas, not directly related to the forum topics. You know what it is like, throw a bunch of teachers in a room and they’ll talk shop, jumping from one idea to the next with a bit of personal news thrown in. Transfer this to a forum environment and you know what I mean. Does this unorganised jumble of links needs to be addressed? Reorganised to allow easier access to the links? Or should we just leave it as is? Do teachers want to have a list of elearning resources (i.e. web links) gathered for them before a context of learning is about to begin? Do teachers generally find these resources a week before they need it, when the plan it, or just in time? How do they access or find them? Word of mouth? Delicious? RSS? Googled? Should we expect teachers to understand RSS? subscribing? news readers? Do we need to teach specific skills related to the use of online forums? Lots of questions and to be honest, we came up with no one-answer-fits-all solution, or if there even needs to be a solution. What is important is that teachers are engaged and active with online forums to support, improve andss share their classroom practice. That is just great!